The world of global supply chain management isn’t just swept up in the peak demands of the holiday season. It is also looking to the recent consolidation of Maersk Line and Hamburg-Sud, the most recent in a series of consolidations, and what this growing trend will mean for rates in 2017. There are a number of factors contributing to the need for consolidation in the ocean freight industry. Ocean freight companies, large and small, are feeling the sting of these wounds to the market. Increased capacity. It takes several years to build a carrier ship, so it is incredibly difficult to accurately predict market growth and to be prepared for it. In 2013, the market for freight shipments appeared to be on an upswing, and many companies began the process of ordering for more carriers to be built. In the last year, those ships have become ready for use, dramatically increasing the available freight space internationally. Unfortunately, the predicted market upswing this increased space was intended to accommodate did not materialize. Decreased demand. Not only has the market not taken the upswing that was anticipated, demand has actually decreased. Although this does not account fully for the reduction in ocean carrier rates, it makes an already challenging situation even worse. Debt. Although the space on these carriers have turned out to be unnecessary, companies are still indebted to the manufacturers for their production, many to the tune of billions of dollars. Although the global shipping industry’s debt has decreased from $114 billion in 2013 to $90 billion currently, debt is leaving many companies in a very precarious financial situation. 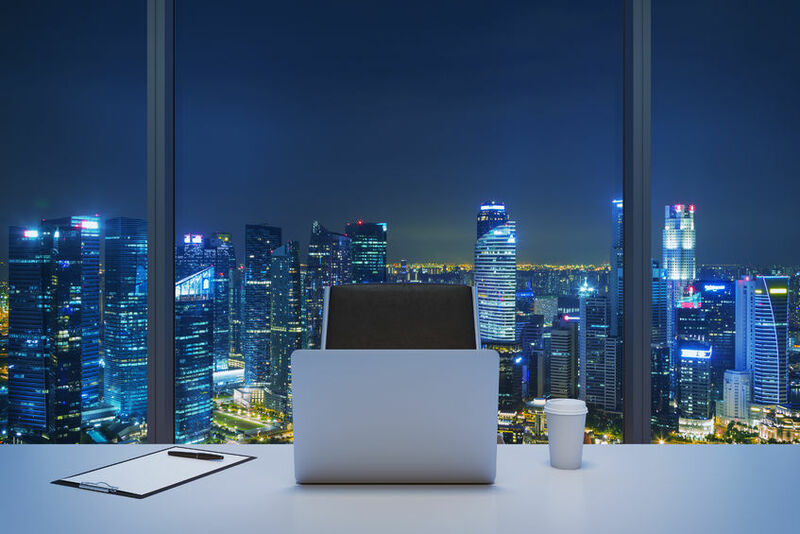 For these reasons, consolidation is the growing trend, and a viable option for companies that have been hit especially hard by these market changes. 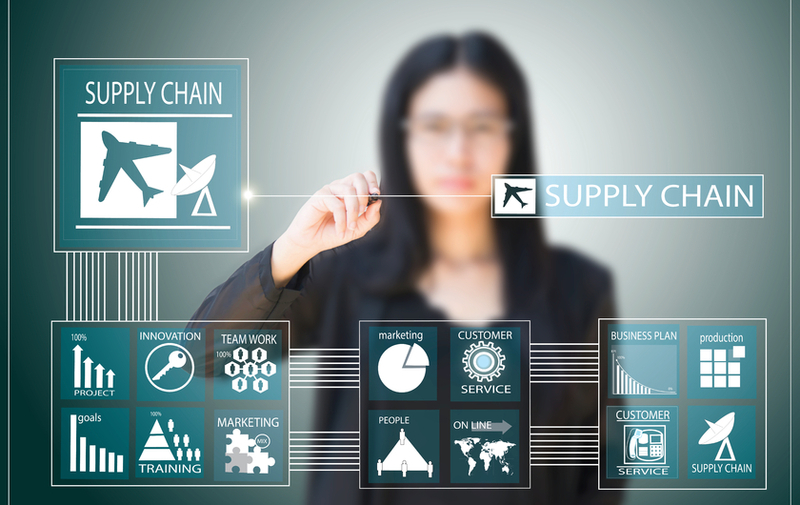 With each consolidation, the landscape of supply chain logistics changes. An experienced logistics provider can assist retailers in managing these changes. Since the early 1990’s Jaguar Freight has been a leading provider of these service. Our team of logistics specialists has deep and current knowledge of international supply chain management. To learn more about how we can assist your company and ensure you have excellence in your supply chain, visit our website. Unless you’re relying on the magic of Santa’s reindeer this holiday season, managing the high volume of international shipments required to meet shoppers’ demands is best handled by a reliable logistics provider. Merchandisers are keenly aware that, in today’s market, being ill-equipped to meet holiday demand is more than a missed opportunity. Customers want to know that they can rely on companies to have adequate stock of the products they need, when they need them. For this reason, supply chain management between Thanksgiving and New Year’s is no longer about maximizing shipping volume at the lowest prices. If a particular vendor is delayed or other issues in the supply chain arise, companies should not passively accept their fate. 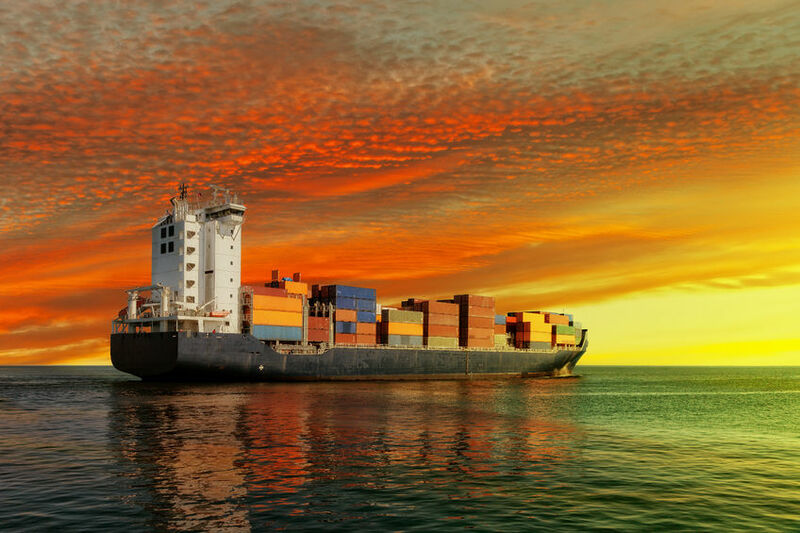 Steps can be taken to troubleshoot these common shipping disasters, and enlisting the support of an experienced 4PL provider will ensure the optimal alternative is pursued. Hot ticket items. Usually electronics, when these items–like a new iPhone model, for instance–hit the market, the spike in shipments can disrupt global supply chains. Production delays. It is not uncommon for factories to fail to meet the production demands of retailers during the holidays. In these cases, more frequent shipments of smaller volume may be required. Limited capacity. The increased transport needs that arise during the holiday season can necessitate increased vessels and labor as well as a move to airfreight as deadlines get closer. Subsequently, freight costs tend to rise during this time of year. Plan ahead. Developing a game plan well in advance of Thanksgiving will allow you to factor in enough cushion room to anticipate these potential hiccups. Do your research. 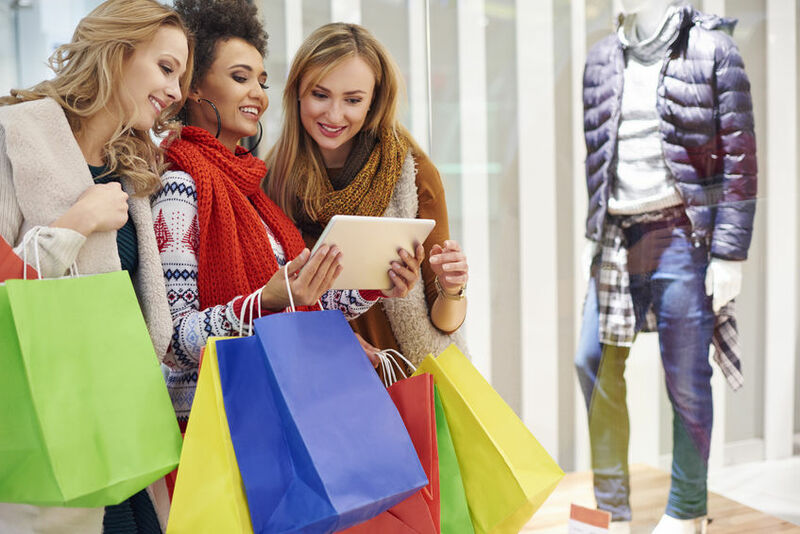 Market trends will help determine how much of what retailers should plan to order in order to meet the holiday spike in sales. Enlist support. 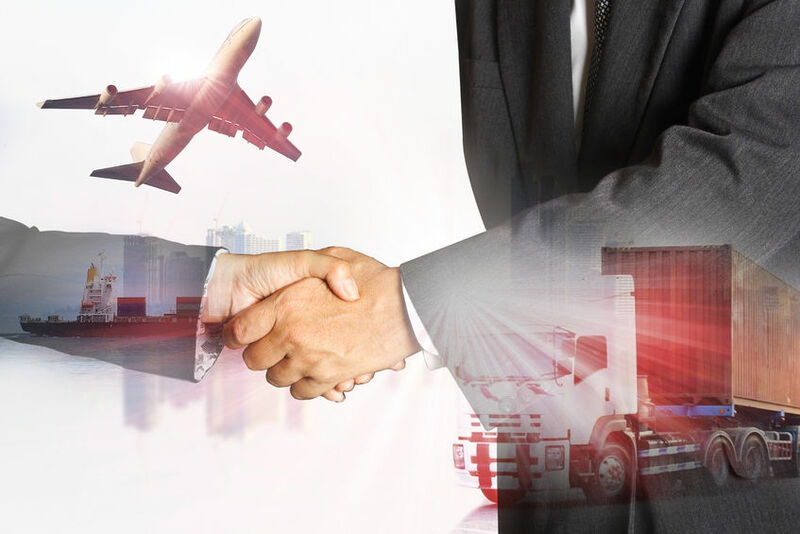 A proven and reliable logistics provider has the expertise and connections within the global supply chain to keep your operation running smoothly. Jaguar Freight is a licensed freight forwarder that has been providing global supply chain management since 1993. Our team of logistics experts are committed to client satisfaction, providing each client with a personal point of contact. To find out more about how we can support your retail operation this holiday season, visit our website. Anti-trade Rhetoric: How Is It Affecting the Industry? NAFTA’s terms provided for the elimination of most tariffs on products traded among Canada, Mexico, and the United States. U.S. exports to Canada and Mexico support more than three million American jobs. For services and many categories of goods, the United States maintains a trade surplus with the NAFTA countries. U.S. trade with NAFTA partners has unlocked opportunity for millions of Americans by supporting Made-in-America jobs and exports. On one side, many anti-NAFTA critics highlight that NAFTA has allowed the U.S. to outsource far too much employment to Mexico, where labor wages are traditionally lower than both the U.S. and Canada. Pro-NAFTA critics argue the increase in outsourced labor was expected, and that the US would take the opportunity to further its’ workers technical abilities and productivity. The competition with China’s low-cost manufacturing sector continues to be a contributing factor of the varying levels of success and failures of NAFTA over the past two decades. NAFTA is not the only free trade agreement affected by China’s incessant ability to provide low cost labor. Virtually all free trade agreements are affected by China’s labor force. In the face of a Donald Trump inauguration, the question now shifts to how anti-trade rhetoric will interrupt NAFTA and other free trade agreements. The creation of NAFTA escalated globalization, the inverse will surely be true should subsequent trade agreements be terminated or tramatically amended.. Shipping and logistics are woven throughout nearly every industry that globalization affects. Whether you’re a cosmetics retailer or toy manufacturer, getting your goods from point A to point B is imperative for the survival of your business. 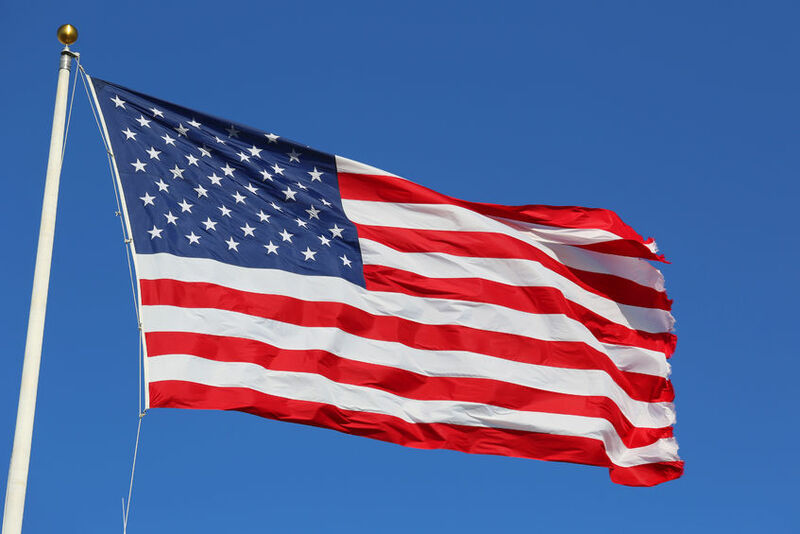 Globalization, powered by free trade agreements, is guided by the inclination of the federal administration to pursue free trade with partner countries. At this point only speculation is relevant; with a new administration on the horizon, a new day in the age of globalization is upon us, how far the anti-trade rhetoric will be taken is yet to be determined. 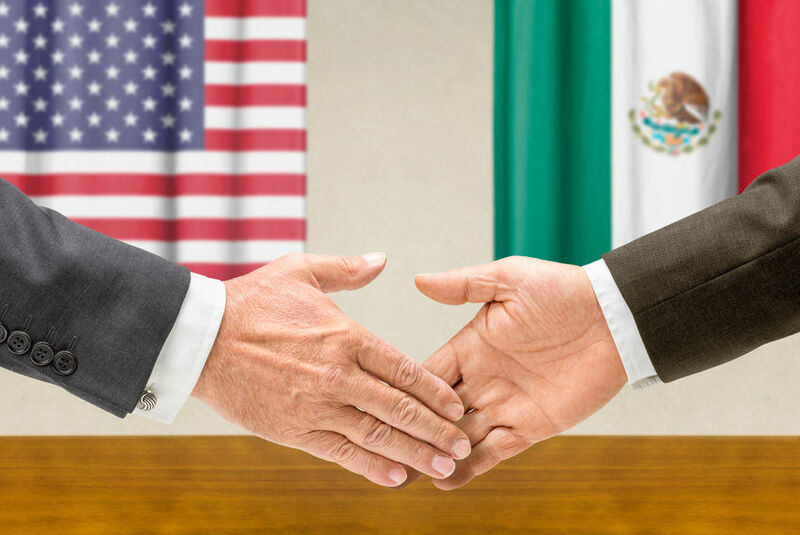 Virtually all industries can expect to be impacted by changes to the currently implemented NAFTA, TPP, and other trade agreements with the U.S. The only question remaining is, to what degree? The election of Donald Trump as president elect has thas caught the world off guard. The shipping industry is particularly feeling the effects of America’s decision to elect Donald Trump, as the realities of his campaign promises involving anti-trade rhetoric and protectionism begin to materialize. Few details were provided in Trump’s 100 day plan regarding trade policies, but the situation has the potential to become alarming, as ship operators are dealing with the worst down-cycle in 30 years. His overall protectionist, anti-globalization stance, has the potential to be detrimental to the industry as a whole, however, as always the devil is in the details and it depends on what is actually passed into law. Donald Trump has repeatedly criticized the Trans-Pacific Partnership, a trade agreement to lower or eliminate tariffs between the U.S. and 11 other countries. Overall, TPP’s goals is to: promote economic growth; support the creation and retention of jobs; enhance innovation, productivity and competitiveness; raise living standards; reduce poverty in the signatories’ countries; and promote transparency, good governance, and enhanced labor and environmental protections. As the day president elect Donald Trump is inaugurated moves closer, industry analysts are concerned on how extreme Trump’s new administration will push their protectionist policies, and if major trading partners, such as a China, will do the same. The U.S. has the responsibility to uphold global standards, and be a leader in the shipping realm. The world’s largest operators will be counting on the U.S. to pull them out of the looming crisis, as growth prospects in the U.S. are stronger than in Europe and most of Asia. One of the the greatest risks to the shipping industry would be if Trump disrupts the agreements already in place, and instills new protectionist agreements, prohibiting or limiting trade with countries we have already been trading with. The risk is in the inevitable ripple effect of other countries taking similar actions. Stay on top of the latest news in transportation logistics and supply chain management, visit our website or blog. Custom transportation solutions for a global community. The support of a dedicated team, with intuitive technology, that’s what Jaguar delivers. Introducing a weekly LCL ocean freight service from Antwerp, Belgium to New York by Jaguar Freight. We’re more comfortable with global freight movement than anyone in the industry. Full tracking and visibility of freight while in transit. First class customer service support team to answer any questions. Reliable weekly consolidation service from Antwerp to New York. Fixed weekly sailing with short transit times and quick container stripping upon arrival so your freight is available within 48 hours of the container being discharged in New York. The port of Antwerp has a particularly rich history. Ever since the Middle Ages ships laden with cargo and passengers have found their way up the river Scheldt to Antwerp. After the “Golden Century” in which Antwerp grew into a prosperous international port, the closure of the Scheldt in 1585 represented a new low in the history of the port. It would be nearly 300 years until the toll on the Scheldt could be finally redeemed in 1863 and the river became fully open to commercial traffic once more. The “port on the river” began to flourish in the decades that followed. After the Second World War, the Marshall Plan and the Belgian government’s Ten Year Plan brought hitherto unseen growth: the volume of the docks doubled and the port expanded along the Right bank of the Scheldt right up to the Dutch border. Napoleon Bonaparte brings sweeping changes and the Scheldt is once more opened to shipping. 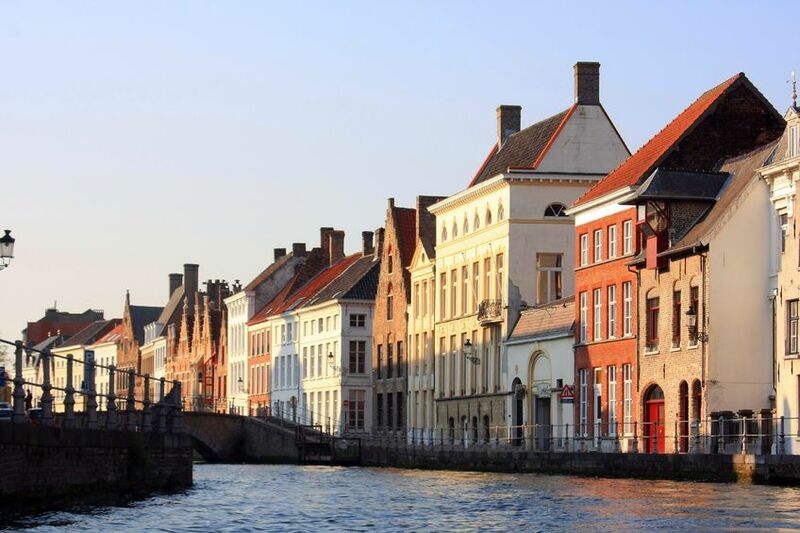 He sees Antwerp as “a pistol pointed at the heart of England” and decides to build new docks and shipyards. The first dock, “Le petit bassin,” is built in 1811 and “Le grand bassin” follows in 1813. These are later renamed the Bonaparte dock and the Willem dock respectively. Between 1816 and 1829 the port experiences average annual growth of 4.5%. Thanks to the industrial revolution and new technologies the port forges trading links with Africa, America and Asia. At that time Antwerp is larger than the ports of Rotterdam and Amsterdam together. With the arrival of the MSC Beatrice, the largest container ship in the world at the time with a capacity of 14,000 TEU (14,000 twenty-foot containers) a whole series of records are smashed. The arrival ceremony symbolises important progress for the port of Antwerp. Container carriers are rapidly increasing in size, and Antwerp is doing everything necessary to accommodate these leviathans. According to the current forecasts, Antwerp will need to have new container handling capacity by 2020-2021. And so the Port Authority is already making preparations for a large new tidal dock with accompanying terminal capacity on the Left bank of the Scheldt. The Saeftinghe Development Area covering more than 1,000 hectares has been earmarked for this dock along with surrounding sites for logistics, transhipment and industry. Construction of the Saeftinghe Development Area will be carried out in phases. Our newest expansion to Antwerp is an example of how we are growing as the industry grows and changes. At Jaguar Freight, we pride ourselves in being able to provide you and your team with exceptional freight forwarding services. Keeping abreast of current worldwide economic conditions and forecasting are essential traits for businesses involved in far-reaching shipping and operations. In the wake of the Hanjin bankruptcy, what changes have arisen, and how will they affect global supply chain management? Given that international shipping is the powerhouse behind multinational economics, what are the broader, more pervasive results of this dynamic shift in the industry? On August 31st of this year, Hanjin Shipping, a South Korean company with over 200 cargo ships, suddenly declared bankruptcy, stranding 90 of those ships, holding $14 billion in cargo. As the seventh largest shipping company on the planet, this is being seen by many analysts as a bellwether, the first in a series of financial dominos to fall. The causes of the failure of Hanjin range from numerous EU bailouts, the collapse of the Chinese economic bubble, to as far as the US student loan debt crisis. All these factors and more weakened global market confidence and, as investors pulled back, businesses like Hanjin were left without enough capital to continue to operate. The first concern of the worldwide shipping industry is to finance the stranded ships so they can be docked and offloaded. The primary merchandise involved is appliances and technology, but even those items can suffer depreciation if they sit in transit too long. Given the upcoming holiday season, supply chain management systems are actively seeking other logistics solutions and workarounds to move products from production to the hands of retailers and consumers. It seems facetious to call the $14 billion in stranded merchandise minor but, compared to the more encompassing losses the industry can expect, the $14 billion dollar loss is just that. This is not an isolated incident. The G20 countries have long been warned of the potential for disaster from the failure of any of a number of financial sectors; but the consistent global expansion for years seemed to belie that truth. When Hanjin applied for financial assistance at the final crucial moment, they exposed a long-standing lack of economic soundness that had gone at the very least undetected, if not outright ignored, for years. The impact of the fall of Hanjin will be felt far beyond the shipping and retail industries. It has been the first to fail, but is unlikely to be the last. Of the 12 shipping companies, 11 have published major losses in the last quarter. As a result, many of them have created alliances to shore up resources. However, with 90% of the world’s goods traveling by ship, any weakness is certain to have widespread and nefarious effects on consumer confidence, banking rates, and even international relations. To stay abreast of the latest news in transportation logistics and supply chain management, visit our website or blog. Force majeure is a common clause in contracts that essentially frees both parties from liability or obligation when an extraordinary event or circumstance beyond the control of the parties, such as a war, strike, riot, crime, or an event described by the legal term act of God (hurricane, flood, earthquake, volcanic eruption, etc. ), prevents one or both parties from fulfilling their obligations under the contract. In practice, most force majeure clauses do not excuse a party’s non-performance entirely, but only suspend it for the duration of the force majeure. The typical carrier bill of lading contains a clause stating even if the carrier declared force majeure, the carrier is entitled to collect all the freight charges due. You can quickly imagine the messiness paying third parties rather than Hanjin directly is going to cause should the bankruptcy trustee come to collect. Hanjin will be declaring force majeure with respect to its contractual obligations to provide transportation services. It is possible that Hanjin will exercise the provisions of the “Hindrance” clause in its bill of lading to declare that the transportation services have been terminated, that it is entitled to full freight, and that the merchant now needs to make any necessary arrangements to complete the transportation services to destination. Consequently, whether or not any of its vessels are seized, it may well be that arrangements will need to be made to make sure that goods in Hanjin’s possession or control are released and then moved to final destination. How are US Ports dealing with Hanjin’s loads? At the Northwest Seaport Alliance of Seattle and Tacoma, Terminal 46 is now accepting import containers, but is not accepting export loads and empties. Olympic Container Terminal in Tacoma is not accepting any Hanjin deliveries for now and the Husky Terminal is not accepting exports or empties, but is unloading imports and is encouraging truckers to bring their own chassis. In Vancouver, Global Container Terminal said it will no longer receive Hanjin ships. On the East Coast, the largest terminal in the Port of New York and New Jersey, Maher Terminals, has made no statement on if, or how much, shippers must pay to get Hanjin containers. Maher is the only New York-New Jersey terminal that receives Hanjin ships, and APM Terminals, Port Newark Container Terminal, and Global Container Terminals didn’t disclose how they are handling Hanjin containers. 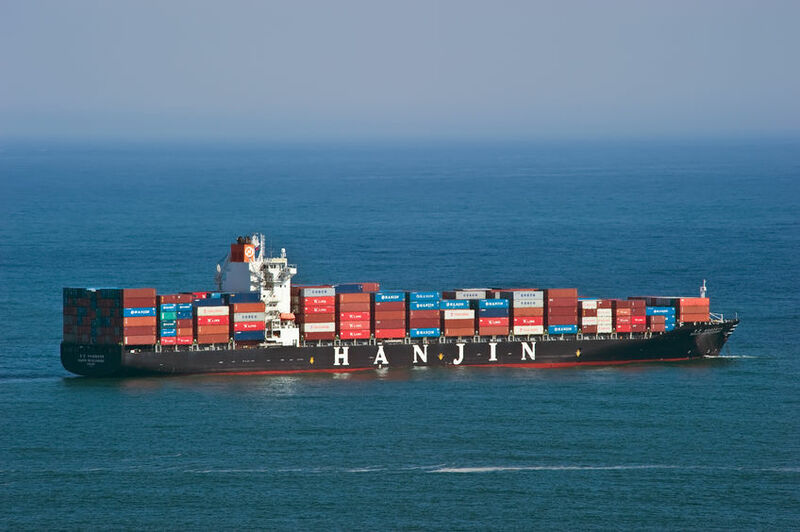 Philadelphia reported no impact from Hanjin ships or containers. Boston does not receive Hanjin ships. Baltimore, Ports America Chesapeake, which operates the Seagirt Terminal in Baltimore didn’t disclose how it’s handling already received Hanjin containers. The terminal did say it will not accept any inbound Hanjin cargo, and they will continue receiving but not delivering Hanjin empty containers. 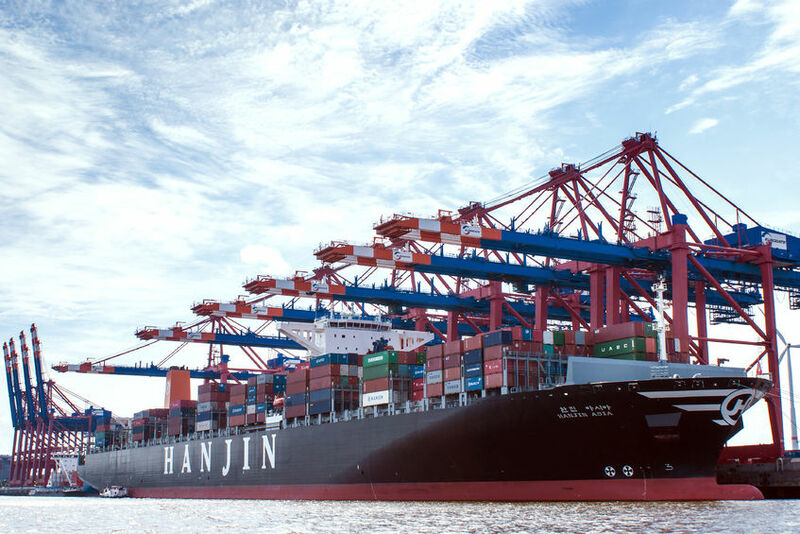 At the Port of Virginia, Hanjin export containers may be picked-up at the terminals by the original shipper only with authorization from Hanjin. The South Carolina Ports Authority has waived the non-vessel delivery fee for export loads out-gated and all import loads discharged on or after September 1 will be placed on hold until such time as all SCPA charges are settled. Along the Gulf Coast, Houston is holding containers until they receive $100 to cover the Port of Houston Authority’s terminal throughput charges, which are separate from stevedoring costs. Stay tuned to our Blog for more information on the status of this dynamic shift in our industry. Jaguar Freight is a freight forwarder providing custom transportation solutions for a global community. The support of a dedicated team, with intuitive technology, that’s what Jaguar delivers. As you probably already know, Hanjin Shipping filed for bankruptcy protection Aug. 31, 2016, after months of trying to raise liquidity and restructure its debt, triggering a mad scramble by shippers to locate and gain control of their containers. This unfortunately means the inevitable increase in the cost of a wide range of goods, such as, furniture, clothing, food both frozen and fresh. The fundamental nature of economics is the driver behind the price spikes; as demand increases, supply becomes elusive yet competitive, causing freight costs to balloon. As the the seventh largest container carrier in the world, Hanjin’s doubtful future is a pivotal moment in the shipping industry. Carriers have announced they will hike container freight rates by as much as 50 percent beginning next month as retailers scramble to secure shipping ahead of the peak year-end holiday season. $14 billion worth of cargo has been stranded, leaving many shippers struggling to find replacements. What else is driving costs? Port fees. Hanjin would normally pay the fees for port usage and container handling as part of its freight services. Cargo shippers have been forced to pay thousands of dollars in fees to terminal owners and truckers to reclaim their goods from Hanjin ships to prevent perishable foods from spoiling and to avoid losing sales because goods are not available when customers want them. Not exactly, yes, but no. While billions of dollars were left stranded at sea following the bankruptcy announcement, the shipping industry is beginning to recoup. Industry analysts expect the freight increases to be short-lived as more shipping capacity comes online. Retail markets specifically will most likely see a dip in profits this quarter, if they are to avoid drastically increasing the price of goods to the consumer. To maintain competitivity, the cost fluctuations will hit profit margins for the majority of retailers. Container freight charges have been exponential since May, and could continue to push forward during these next few tumultuous months. With holiday season approaching, it’s not too late to get your goods to market for the holiday season, but you may need to accelerate some of your previously agreed shipping schedules. The average cost to move goods in 40-foot containers from the U.S. West Coast to Asia was quoted at $1,700 this month, up from $788 in May. As a professional freight forwarder, our main goal is to ensure your total satisfaction. Contact us if you’d like to talk more about how Hanjin’s demise is potentially affecting your business. At Jaguar, we deliver excellence, so you can. Traders from both developing and developed countries have long pointed to the vast amount of “red tape” that still exists in moving goods across borders, and which poses a particular burden on small and medium-sized enterprises. To address this, WTO Members concluded negotiations on a landmark Trade Facilitation Agreement (TFA) at their 2013 Bali Ministerial Conference and are now in the process of adopting measures needed to bring the Agreement into effect. The TFA contains provisions for expediting the movement, release and clearance of goods, including goods in transit. It also sets out measures for effective cooperation between customs and other appropriate authorities on trade facilitation and customs compliance issues. It further contains provisions for technical assistance and capacity building in this area. The Agreement will help improve transparency, increase possibilities to participate in global value chains, and reduce the scope for corruption. The TFA was the first Agreement concluded at the WTO by all of its Members. Numerous studies have estimated the positive impact of the TFA on global trade and income. As trade has become more liberalized, other obstacles to trade have gained importance, and in today’s trade logistics context, facilitation has become more important than ever. The inclusion of trade facilitation in the WTO agenda reflects a number of specific trends in international trade and logistics. The logistics experts at Jaguar Freight are here to help guide you and your company through the ever changing landscape of global freight forwarding. Get in contact with us today for more information. The types of information that governments publish, and the manner of publication. The means by which a trader can obtain reliable “binding” information about the tariff classification, origin, or other customs treatment of his goods before he imports them. The rights of traders to obtain review and correction of decisions made by Customs officials or officials of other border agencies. Disciplines on any system of issuing notifications or guidance to concerned authorities to enhance controls and inspections on imported goods, particularly food products, beverages and feedstuffs. The “fees and charges” that governmental authorities assess on, or in connection with, imports or exports. The “fees and charges” that customs authorities assess on, or in connection with, imports or exports for services provided to the importer or exporter. Submission of the documents required for the release of imported goods to customs and other border agencies. The means by which a trader can pay his duties, taxes, fees and charges. Customs verification of compliance with customs and related laws and regulations through examination of the trader’s books and records at his premises following release of the goods. Documents and goods imported by air express-delivery operators and other expedited shippers. Movement of goods intended for import under customs control. Formalities connected with importation, exportation and transit. Trade facilitation became a topic of discussion at the WTO at the Singapore Ministerial Conference in December 1996, when Members directed the Council for Trade in Goods to undertake exploratory and analytical work on the simplification of trade procedures in order to assess the scope for WTO rules in this area. Hundreds of proposals made by Members, individually or through groups or alliances, were submitted for consideration by the Negotiating Group. After months of painstaking streamlining and revisions, the proposals became part of the final text of the Trade Facilitation Agreement agreed by Members at the Bali Ministerial Conference in December 2013. The Agreement has not yet officially entered into force, yet. The Trade Facilitation Agreement will enter into force once two-thirds of Members have domestically ratified a Protocol of Amendment and notified the WTO of their acceptance of this Protocol. This charts shows a regional breakdown of the Ratifications received so far (protocol of acceptance deposited). So far 91 countries have completed the ratification process. As industry professionals and business owners, we know what you need to resolve all of your logistics concerns. The CyberChain™ Suite is your ultimate supply chain solution. Cost efficient? Check. Transparent? Check. Technologically advanced? Check. Data driven? Check. The CyberChain suite includes four powerful modules that do more than tell you where your products are and when they’ll arrive. They provide deep visibility and actionable intelligence. CyberChain enables you to make the process and performance improvements that lead to cost savings and competitive advantage. The CyberChain modules—our renowned CyberTrax™ TMS, plus the ASN Portal™, Flashlight™ and POEM — can be implemented in combination or individually to accommodate your objectives, budget, and scale of business. And because we designed and built them in-house, we can customize the modules to fit the way you do business. Get a straightforward, confidential and secure route to real-time information. access it at any time for the latest transportation information possible. Get real-time shipping information at any time, from any Web browser. Access all your data, whenever you need it. Access archived shipping information as easily as current data. Ensure near-universal systems compatibility with a password-protected, web-based system. Engage Jaguar Freight software developers to customize your deployment. Provides access to all of your data so you can use it however you need it. Jaguar can help you find ways to optimize your supply chain logistics, more conveniently, with fewer soft costs and disruptions. Our proprietary TMS tools will push real-time, SKU-level transparency out to your front-line colleagues. They’ll receive reports with actionable information, which will free you to focus on priority tasks. Stay tuned to our blog for more information about implementing technology to further your supply chain.